Leicester Scrap Processors and Suppliers Limited, based in South Wigston, failed in its duty of care to ensure the waste being carried on their vehicle was under control and to take all reasonable measures to prevent waste escaping. This is contrary to Section 34 of the Environmental Protection Act 1990. 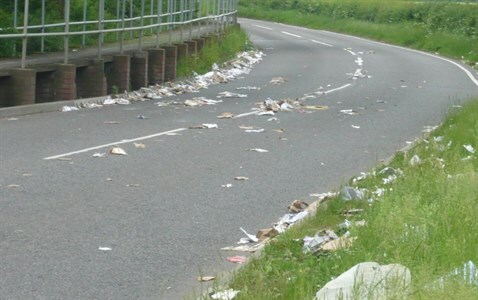 On 31 May 2018 a significant amount of waste fell from one of the company’s vehicles onto the highway on the B5366 Countesthorpe Road. A resident who witnessed the waste being shed provided a written statement, helping Blaby District Council’s Environmental Health officers conclude that Leicester Scrap Processors and Suppliers Limited were responsible.